After two months in Philadelphia, where my new bike friends heard more than a few grumblings about how hard it was to get away from the city, how Forbidden Drive might be a gravel surface but didn’t evoke the same feelings that I’d have on a gravel ride on the Great Plains, and more than a little agonizing about whether, after weeks of chill mountain bike sessions in the Wiss and road rides through beautiful suburbs with twisty climbs and descents, I’d be ready to slog through 153 miles of gravel and dirt roads back home. On a converted-back-at-the-last-minute singlespeed. The night before, I’d had somehow the quietest pre-race night ever. Last-minute, I had no houseguests. I went home after check-in, made a simple dinner, had a nice chat with Willem, who was camping on Lake Champlain (yeah, more than a little envious I wasn’t there), and crawled into bed with Tim Krabbé’s The Rider. I think I actually got some decent sleep, a rarity before these kind of events. Matt Fuller and Dustin Roth fetched Matt Wills and I shortly after 4 AM Saturday. After weeks of worrying about the forecast — and after a nice downpour on Friday that dampened my enthusiasm considerably — the weather for the day suddenly looked great. 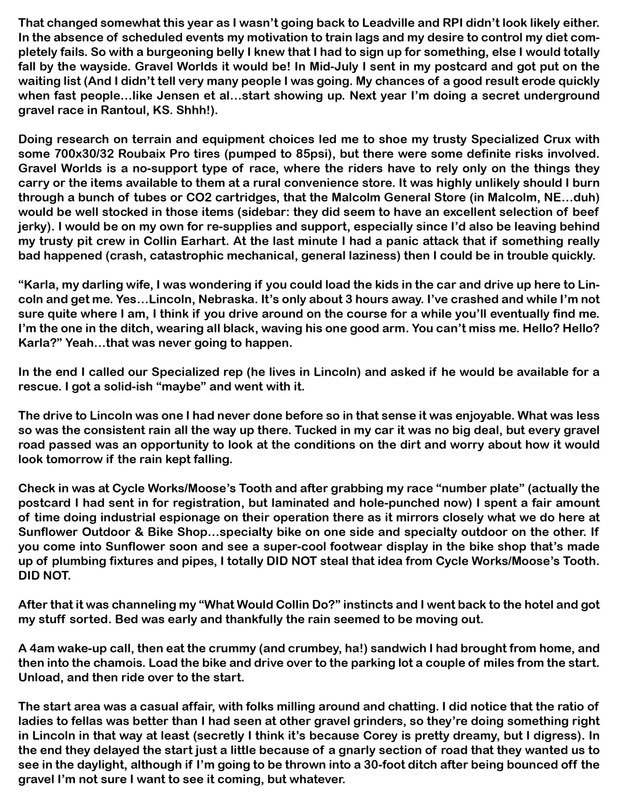 Minimal wind, not too hot, and by Schmidty’s report, the roads were good. The starting atmosphere was great, as usual. Lots of people milling about by the barn, playing with kittens, and anticipating the 6:15 cowbell. Instead of carrying my camera with me this year, I gave it to my mom to capture the start, and whatever else she wanted to. Thanks, Mom! Selfie with Susan. Amazing lady. 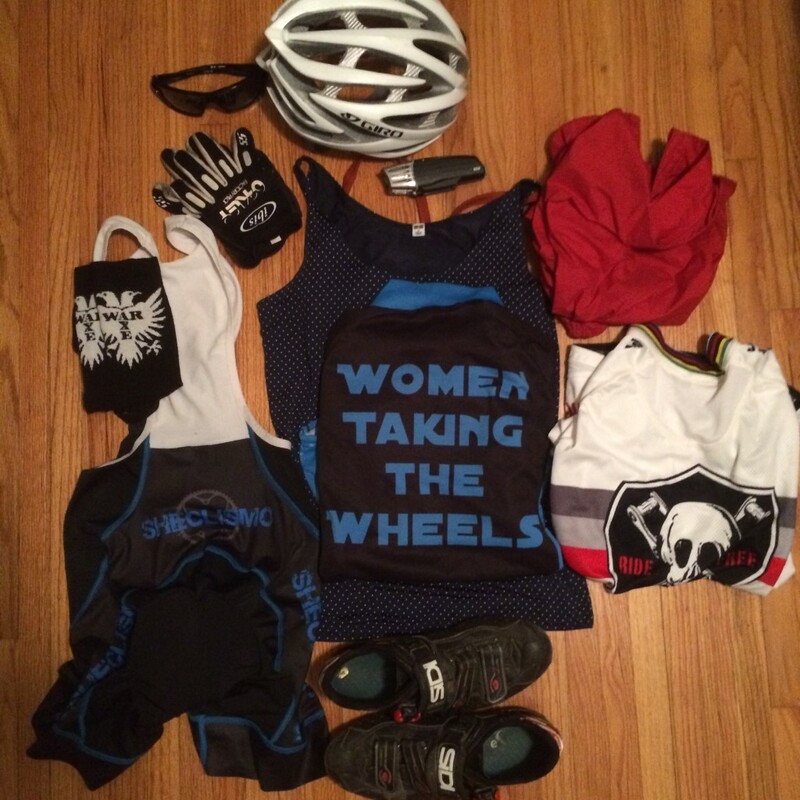 A big group of women — from Sheclismo’s Gravel Girls to a few women from out of town to superstar, multi-time Race Across America winner and transcontinental women’s record holder Susan Notorangelo (!!!!) — all lined up in the drive, letting the pack of fast fellas stake out their claim in the road. My dad rings a giant, real Swiss cowbell to start the race. This bell is so big, he wears it on a belt and, well, thrusts it. Thank your lucky stars, everyone else, that it’s not your dad — it’s hilariously awkward for me. My Week #278 (August 11 – 17) from nocoastfilms on Vimeo, featuring Gravel Worlds prep and the roll-out at 6:15 AM. Rolled out, hit gravel, and Matt and I were off, weaving our way up past packs of folks. Before I knew it, we were at the Denton Wall, and thanks to a summer in Philly, I attacked and climbed that sucker like it was nothing. That was a good feeling, a little victory early on. It was really foggy, so I wasn’t wearing glasses. After having fumbled to get them securely stowed on my helmet, once we turned onto W Denton Road, which was under construction and bumpier than a buggy ride, they went bouncing right off. Damn. Had to turn around and hope no one ran over them, then climb back on and sprint back up to Matt. And this happened twice. Dumb ways to lose time. We hit the first minimum maintenance road (aka MMR, B Road, lovely dirt/mud pit) about 15 miles in, and it was absolutely perfect. Not muddy at all. Matt about cried, so relieved we wouldn’t be hiking through the cornfields. It was just perfect. After a few stretches of dirt, we headed north on a road with fresh white rock on top of pretty soft dirt. We were bridging up to people going slowly along this section, and I made note of the fact that as we caught Skip Cronin, we also passed Kate Wilson, a singlespeed lady and friend of Anatoly’s who I’d been told would be quite speedy. I put the hurt on for the next few miles, towing Matt along with me and trying to see what sort of gap I might put on her. The stops were so well timed this year that it seemed like nothing between Milford and the Sheclismo Checkpoint and Pickle Oasis in Garland. 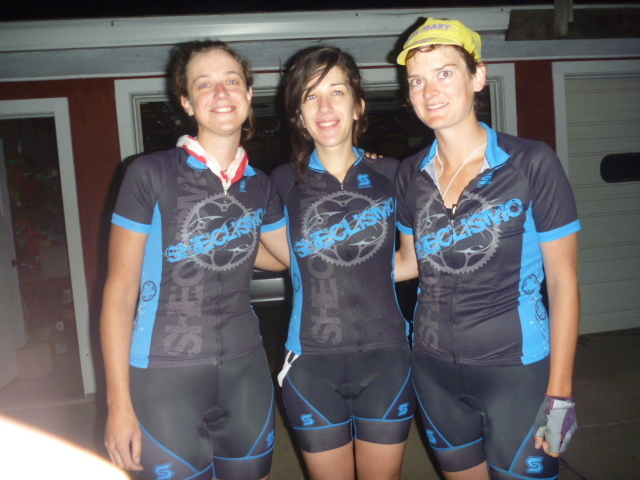 Awesome Sheclismo teammates and supporters checked us in and fed us pickles, and friends gave me a gap time to Kate of less than 5 minutes. On we went. The clouds were parting and the sun was starting to peek through, and we took a quick stop on the side of the road before the bigger climbs started. I watched the time on my computer…no more than 3 minutes, I told Matt. This was not our usual casual program. This next stretch of the course was the toughest, with steep rollers that were more like needles. 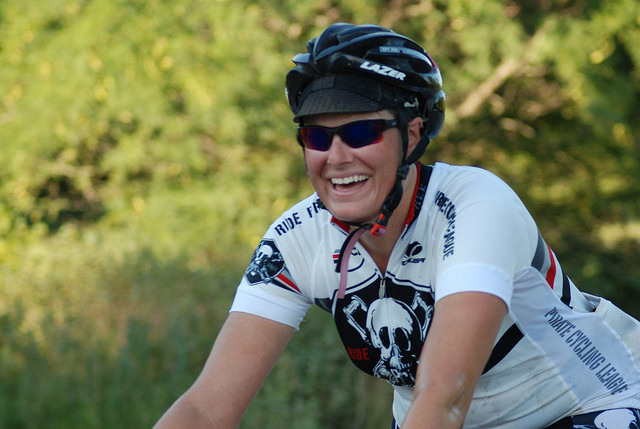 We kept yo-yoing with a ray of sunshine named Desiree, who’d cheer me on with “go singlespeed gal, go!” up every pitch. It helped. Then we were in Malcolm, where there’s always a raucous crowd. I took advantage of the real bathroom, refilled water, chatted with my good buddy and academic brethren Aaron Musson, who’d come down to cheer me on. “The gal in first left with her quesadilla in her mouth,” they told me. “What are you doing standing and eating?” We pushed on to the next checkpoint, a water stop with pirate toys (obviously, I took the one wielding an axe), and an incredulous Dustin and Fuller — “you guys are here already? You’re killing it!” I’d noticed by now that Kate’s fella Pete was at every stop along the way, and that he’d drive off right after I left. She must not have been too far ahead, but she was also getting gap time reports from him. So on we went, out of town for some more Bohemian Alps. 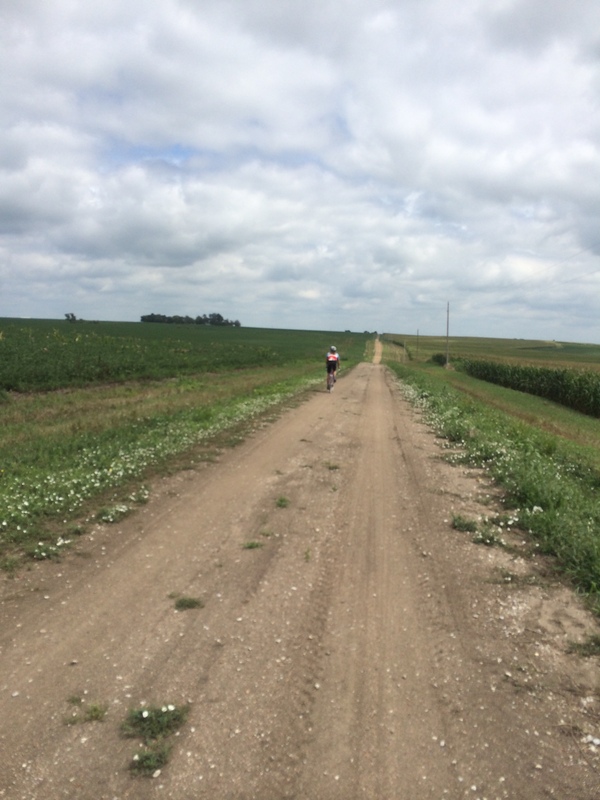 Heading south, there were a few sections of pretty loose, deep gravel, and on one descent, I went careening off toward the ditch. It wasn’t awesome. It was getting a little warmer, and at this point, it was getting exciting to think about hitting the oasis at Schmidty’s aunt and uncle’s place, mostly because that would mark 100 miles, successfully hitting my 17th Hundy of the Month Club. 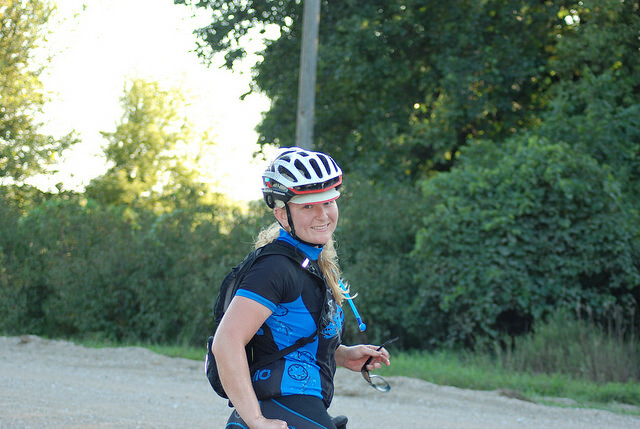 We rode with Desiree and Scott Kiddoo for awhile, but on flatter terrain with a bit of tailwind, they had a pace I couldn’t hold. 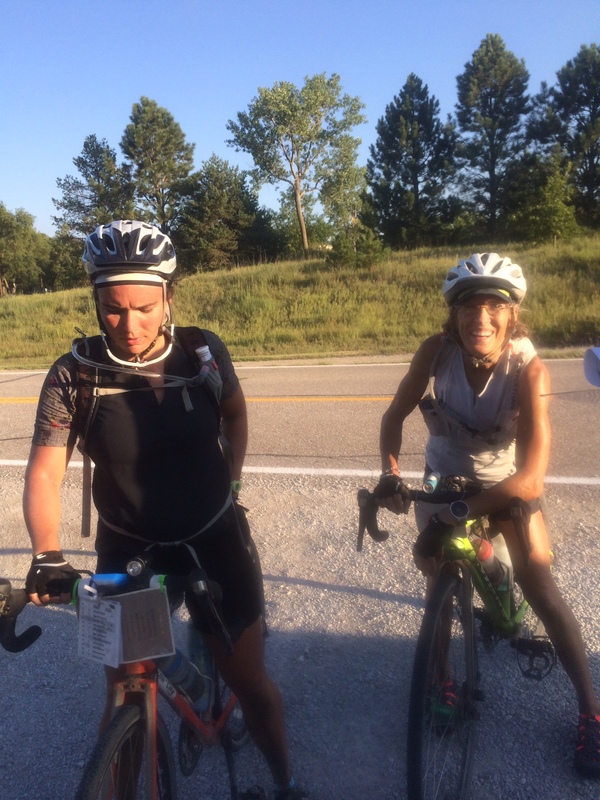 When we pulled in there, Pete told me that Kate had just left a few minutes earlier, and that she was in hot pursuit of the two lead women in the open race, Andrea Cohen (YES GIRL!) 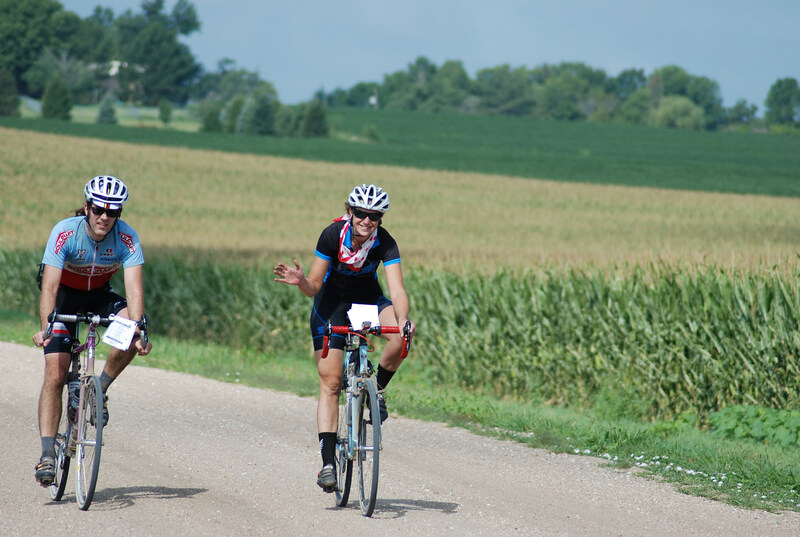 and Karen Borgstedt, who were riding together. “Make your stop quick, then catch Kate and you two can catch them!” Pete said. I kept my stop to under 10 minutes before moving on. It would be a big gap to bridge, especially with Kate knowing how close she was to the lead women. The next stretch between the 100-mile oasis and the winery was a slog, for no good reason. It was a little uphill. It was a little hot. It was a little 2/3rds done fatigue. Whatever it was, I was definitely not bridging. Maintaining, sure, but not bridging. 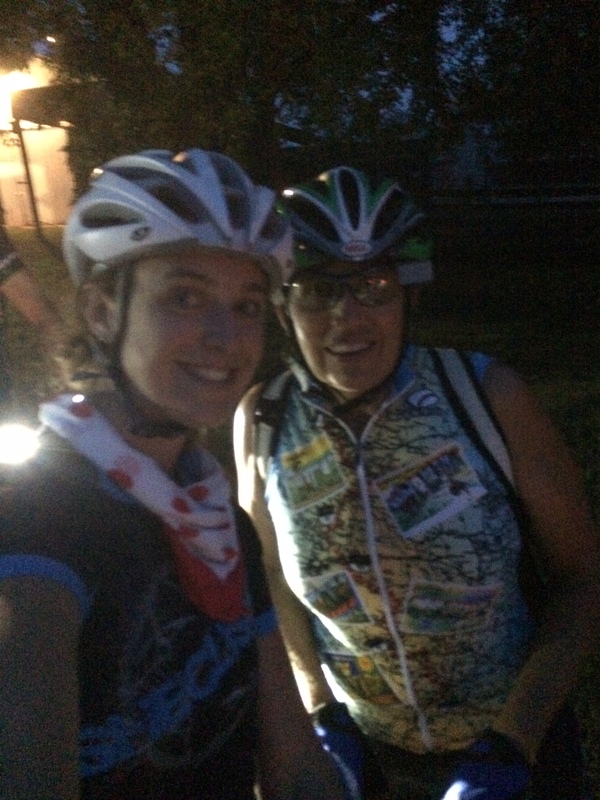 We took another quick ditch stop on an MMR to eat and for me to kind of soak in the atmosphere. I had missed this vastness in Philly. On we went to the winery, where a long and silly winding road took us to the checkpoint. My head was pounding. Allergies? Dehydration? Heat? Barry from the Dirty Dog Race Pack offered me various pills, but I didn’t want anything, really. 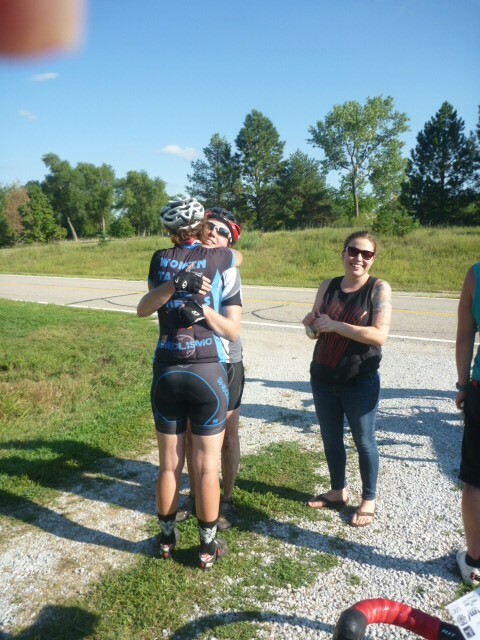 Then there was Eric Anderson, Tim’s dad, who was tracking Tim’s friend Stephanie, from Lancaster, PA. Also known as singlespeed lady #3. And she wasn’t far behind. Crap. We left the oasis, and at the end of the drive, on her way in, was Stephanie, with a couple guys — one of them unmistakably Dave Randleman, who I could hear whooping at her that she was going to catch me. Great. Matt and I pushed on a bit south and then to Stagecoach Road, where we turned west and put.down.the.hammer. 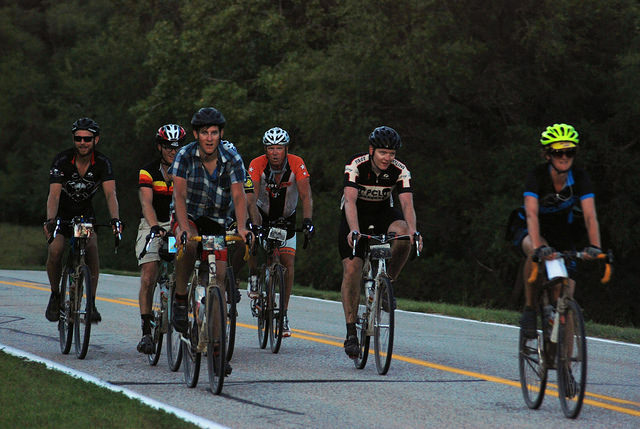 Matt and I typically ride side-by-side, only occasionally do we paceline. Well, we did along Stagecoach, taking turns putting down a good 18-19mph average. 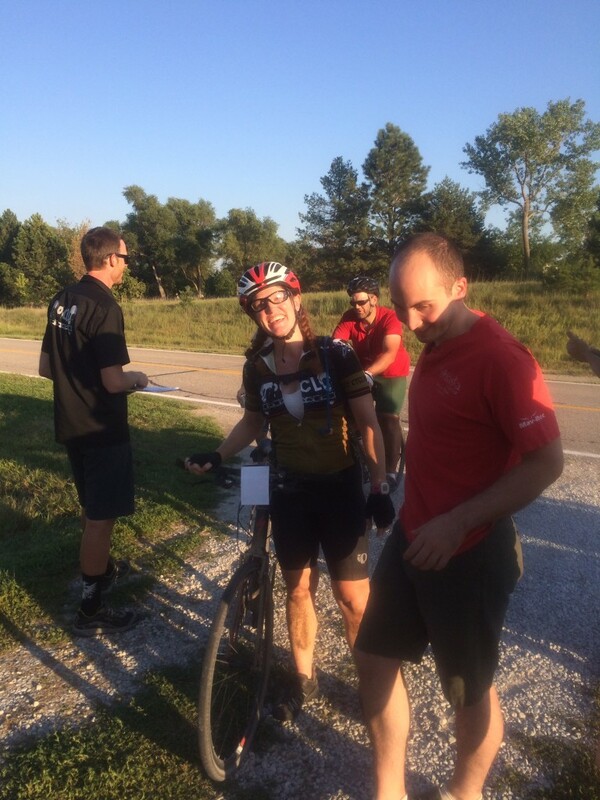 We got to Hickman quickly, picking up another rider who hitched onto us along the way. 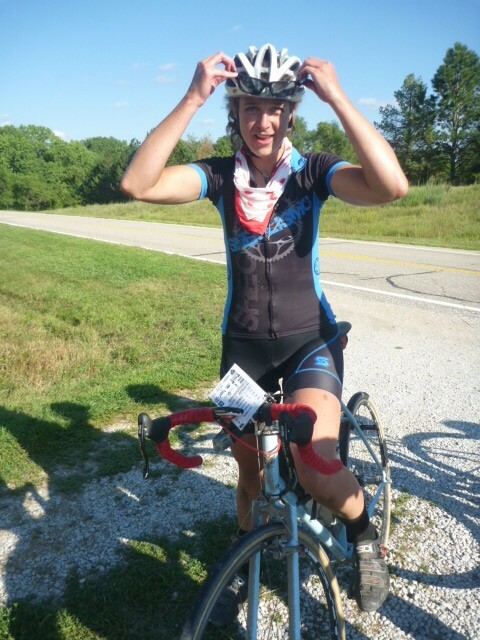 In Hickman, we made super quick work of the stop. I wanted to get out of there before Stephanie showed up. In, out, onward. I did really need to pee, though, and so at the turn from Stagecoach onto SW 2nd, we pulled over to pee and snack. So close to the finish, and on such familiar territory. Matt was starting to hurt, though, and when we pushed on from our break, he was struggling to stay on my wheel. Early in the day, he told me to go on without him if I needed to. This would not be something I’d do lightly. If it came down to it, I told him, I might break away with 10 to go. Between miles 135-140, I’d slow up to let him latch on, then lose him on climbs. We pulled in for a last water refill at Lane Bergen’s oasis with 11 or so to the finish. I didn’t really need it, but I felt like I should stop, and the water tasted good. Onward. Shortly after this, I lost Matt. I looked back a couple times to see him further back, but I felt really good and kept pushing. Don’t look back. Keep pushing. So close to home. So close to home. Then, with about 5 to go, right before crossing W. Denton Road, I sensed someone on my wheel. Looked back. Here was Stephanie. Damn. After crossing the highway, we rode side by side. I made some small talk, trying to assess everything going on. With how my pace had been, I figured she must be in a higher gear. I asked. Sure enough. My 42×18 was one cog more than her 42×17. And the course from here to the finish was pretty mellow, not enough hills to make an attack that would be likely to stick through the mile of pavement to the finish. My goodness, this was going to come down to a sprint finish, wasn’t it? So we rode side by side, keeping the pace right at the point where I’d be spun out. We crossed the highway, onto the pavement, a road I’ve driven thousands of times in my life. Down, up, curve, long down, slight rise. Spun out. Spun out. Past the pasture gate. Sprint sprint sprint. Spun out to the point my legs felt like silly putty, all the energy I was putting in them worthlessly limited by a too-easy-for-this gear. A couple yards to the line, she had me. What a race. Stephanie and I hug it out. Her lady Hadassa was damn proud! Right after the sprint. Thanks, Mom! Big hugs with Desiree, who took the win in Masters. Last year, I fought personal demons in the heat. With temperatures regularly over 100, and with strong winds, it was an exercise in extreme stubbornness to make it to the finish. This year, I was there FOUR HOURS sooner. My goal of a daylight finish was met and surpassed, as I rolled in at 5:34 PM, hours before sunset. 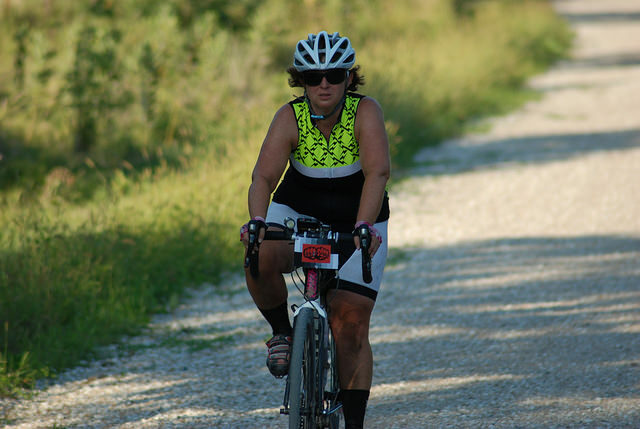 Sure, I may not have won my category, and I may have lost that sprint, but good grief, did I improve. Moreover, I now know that I can actually race at this level and distance. 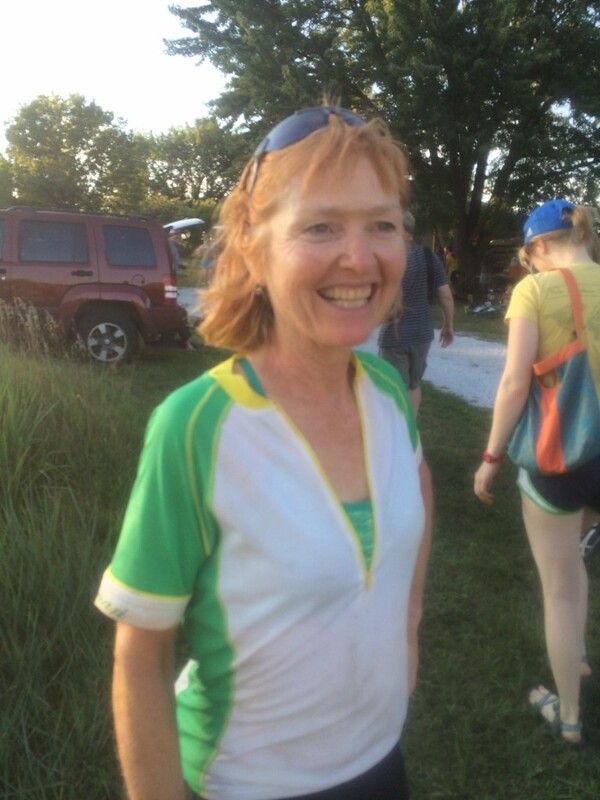 I came in 6th overall for women, and only about 40 minutes after the leaders. And on that note — there were a whole lot of women representing out there on Saturday, which is something I’m darn proud of having a hand in making happen. Even overall winner and “King of the Kanza” Dan Hughes noticed. Janine rocked out for second in Masters. 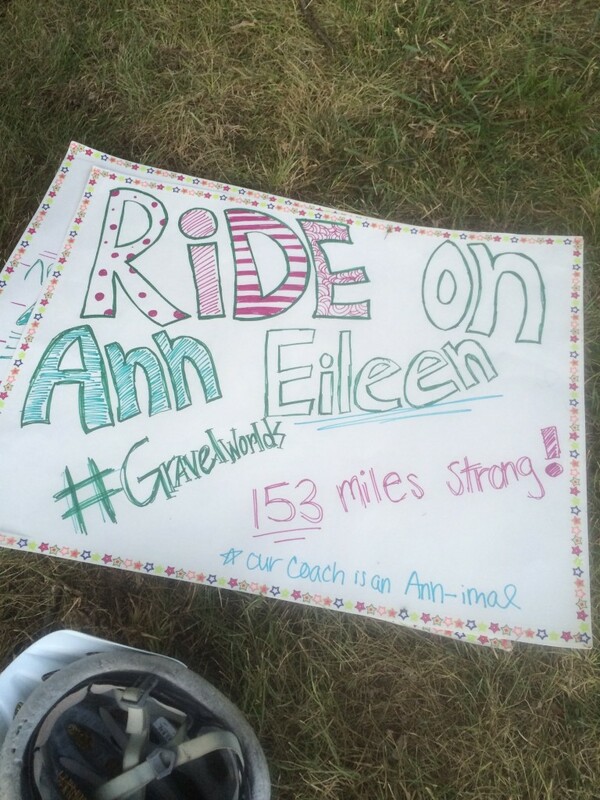 Ann’s a cross-country coach. Her runners made signs. How awesome. It was fun to be done early enough to watch awesome teammates and friends come in for their finishes. Unlike the finish last year, with people just zombie’d out from the heat and wind and awfulness, people were excited, smiling, happy to be done, but dare I say chipper! And I was so dang proud of all my friends who made it there for the first time. All those who helped each other out to get there, who kept each other from quitting, and who can say they did it. 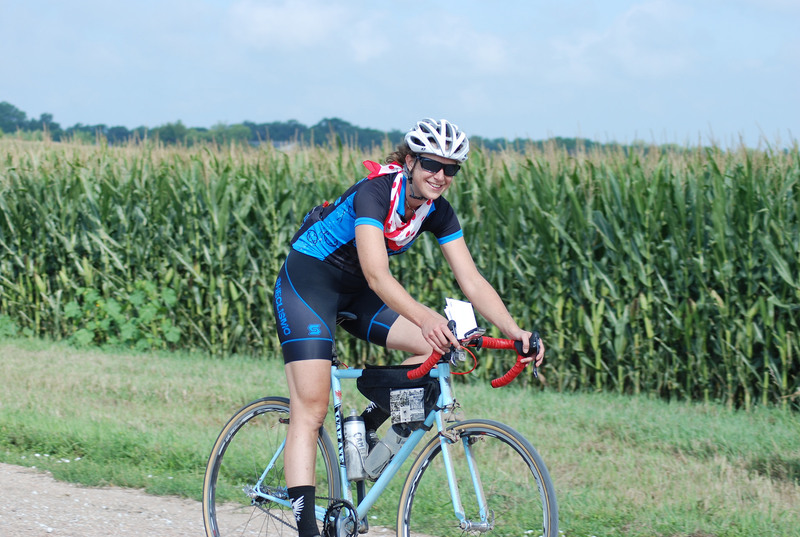 All day, I kept the hope of finishing in the forefront of my thoughts: the feeling of lying down in the grass and drinking a most satisfying beer, of high-fiving other finishers, and of having ridden 70 more gravel miles than I’d ever done at once. I have not been disappointed. It feels as if I have my own personal BCE/CE crossover. There was a before Gravel Worlds, and now there is an after. There were guesses, and now there is certainty. There was a question mark, and now there is an answer. 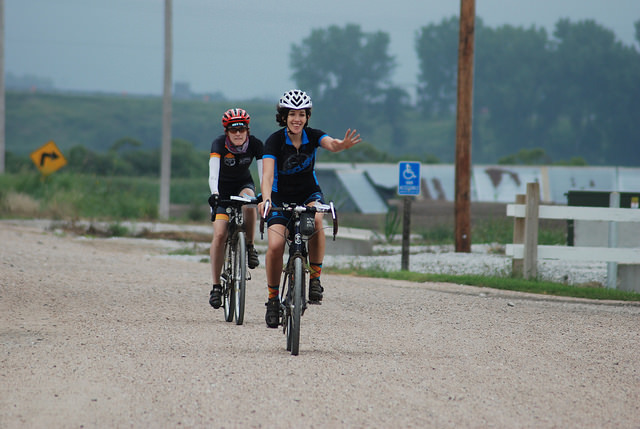 Gravel Worlds is a very special event. For two years, it’s been all the more special for me, with a start/finish at my family farm. I can’t thank my parents enough for thinking this is a fun thing to host. Nebraska, I’m going to miss the hell out of you, but you’ll always be home. Check out a beautiful set of photos and a write-up from a photographer from San Francisco who came out to experience the race, capturing so well what makes it special. 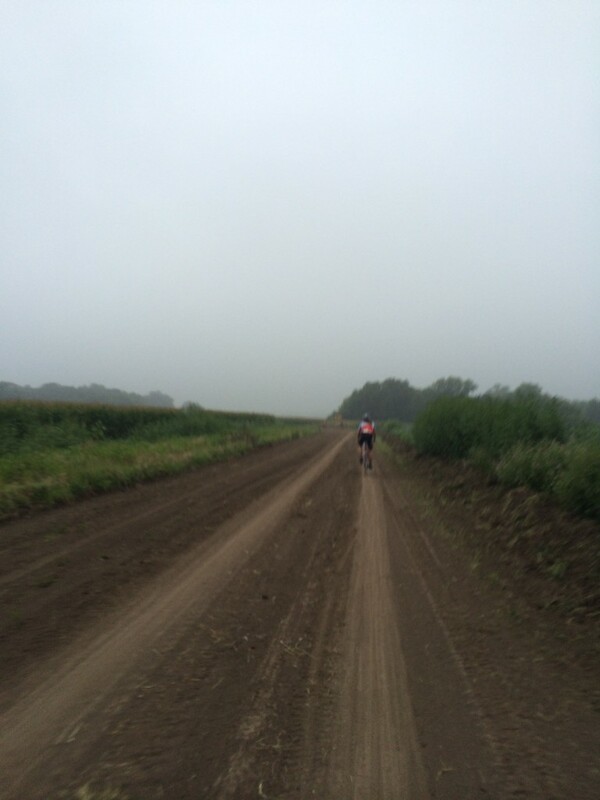 This entry was posted in bike rides, gravel, Uncategorized by Elisabeth. Bookmark the permalink.